View the full Eric Koston Skater Profile. Thursday, August 9, 2012 posted by D.B. In part five of Eric Koston's Epicly Later'd series we go behind the scenes of Menikmati and Chomp on This. Menikmati practically blew away every video at the time, while Chomp on This took a lighter approach. This was before the internet posted skate content every second, so you only got to see what came out in the videos. With Chomp they used everything, from early grabs to party footage you pretty much get to see it all. Nike SB - Eric Koston: Mr. Control It All. Tuesday, February 28, 2012 posted by D.B. Eric Koston breaks down the five hardest tricks done at Lockwood. Thrasher's King of the Road 2011 - Episode 11. Koston's shoe comes out in less than a week right here: Nike SB Zoom Eric Koston Shoes. The toilet dude sent me a pair so I got to skate them this weekend. They are not kidding about the vulcanized feel with the cup sole. They're super light and feel broken in as soon as you put them on just like the shoes from that one competitor of theirs that I've been liking so much lately. Check out Koston's footage on the Nike SB site they released for his shoe. Kobe calls, Brad Staba douchebags, and more antics are no shortage of entertainment. Wednesday, May 18, 2011 posted by D.B. Manolo just shut down the internet with this one. It would be so hard to go through all the Koston footage over the years, and narrow it down to a seven minute edit. Imagine trying to pick the ender. Which by the way, Manolo picked a perfect one. When it's all said and done, there's a good chance Eric Koston might go down as the most talented skateboarder of all time. From the live webcast, here are Koston's three runs in the finals. No one seems to be having more fun out there than he is. It's also amazing to see him actually try to put a run together rather than dork around like he ends up doing at a lot of contests. Finishing it off with a fantastic bail and mall grab strut is the icing on the cake. Schaefer stopped Eric Koston after the Copenhagen Pro Contest to talk about everything from smoking and making money at The Berrics to energy drink sponsors to what's wrong with the street course. Nike SB has a video interview with Eric about shoes. 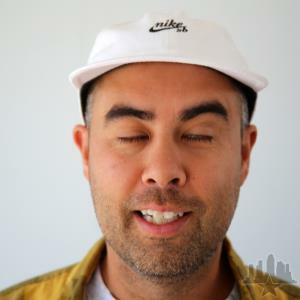 Fourstar has an afternoon in the life with Koston. eS is making a vulcanized Koston 1. Check out one word reactions to Koston on Nike SB at The Skateboard Mag. Eric can be seen in his new shoes last night at the Debacle premiere in LA at The Skateboard Mag. Eric now rides for Nike SB. Koston picks the first round of Battle at the Berrics 2.